Pakistan has decided to go to the IMF for a bailout. Presumably this long-awaited and much-delayed decision has been taken after exhausting all other options. The word on the street was that this decision was inevitable but would be taken after the bye-elections on October 14. A fiery speech by the prime minister sent the KSE into a freefall and the subsequent decision to approach the IMF battered the exchange rate. What the World Bank and the IMF are saying is no secret. They advocate a freely floating exchange rate and predict that the Rupee will fall to around Rs145 against the dollar. They suggest higher gas and electricity tariffs on top of the massive rate raise in gas charges already made by the government. They are concerned with the debt to GDP ratio—already at 74%- and the falling SBP reserves—now at USD8.4 billion. They are also concerned over the rising deficits and falling exports. SBP may have to raise interest rates again. Pakistanis should therefore expect higher inflation—possibly double digit– and lower economic growth—possibly less than 5%. This will translate into fewer jobs, less housing and more poverty—at least in the short term. Inevitably the almost 8% drop in the Rupee after a near panic situation will have an adverse impact on the overall internal scenario with prices shooting up across the board. Any positive impact on exports is likely to be short-lived and not sustainable, given the rise in input costs. There may be a possibility of a socio-economic upheaval. There are other concerns that need to factored in. The water shortage may affect the agriculture sector with Rabbi crops taking a hit. Oil prices may continue at present levels but are likely to rise further. What kept the previous government afloat and the socio-economic environment stable was low oil prices over their entire tenure, no water scarcity leading to bumper crops, no natural disasters and a combination of debt fueled mega projects and a thriving parallel economy that kept the real estate and retail sectors booming. In that environment disastrous policies like controlling the exchange rate could be pursued for short term gains. The whole corruption scenario now being ruthlessly exposed stayed under the wraps. The PTI government will have no such leverage—it does, however, have the advantage of having a leader with a record of high achievement and untainted by corruption. The leader, however needs a team—not just one or two high profile advisers but a team of credible, competent and right-thinking people who can deliver. So far, such a team has not been put in place. The focus has been on austerity, on nabbing and prosecuting the corrupt, on a 5 million houses project, creation of an Islamic model welfare state and on meeting the self- imposed 100-day deadline for jobs and poverty alleviation. There is a need to face the reality of the economic and foreign relations situation. Failure would be disastrous but a retreat from deadlines and deliverables could be explained by the charismatic and credible Prime Minister and would be understood and accepted by the people—especially if the mid- and long-term goals remain unchanged. The PTI must exploit its advantage of institutional support. The CPEC project that is without a doubt a game changer for Pakistan is being discussed after a remark by an Adviser that it needed a review. This was followed by the Railways Minister announcing a USD2 billion cut in the massive and critical upgradation of the Karachi-Rail link—he even said that more cuts may be in the offing. Then came the news of a Saudi financed ‘oil city’ centered on a refinery and strategic storage capacity and sure enough this sparked a discussion on the Chinese reaction, on implications of relations with Iran and implications of the internal situation in Baluchistan in the context of external exploitation of the situation. Now we have the report of a shift in CPEC focus from infrastructure to Agriculture to industry prompting a remark from China on the benefits of CPEC to Pakistan and a denial that CPEC in any way impacts negatively on Pakistan’s current economic predicament. The IMF has already voiced its concerns. Malaysia has cancelled USD26 billion worth of projects in a single carefully considered policy without any hiccups. It has reset its relations with China and moved on. Perhaps there is a lesson to be learnt here. The Army Chief had to undertake a visit to China and now we have the news of a massive Drones deal with China. Damage prevention is far better than damage limitation. 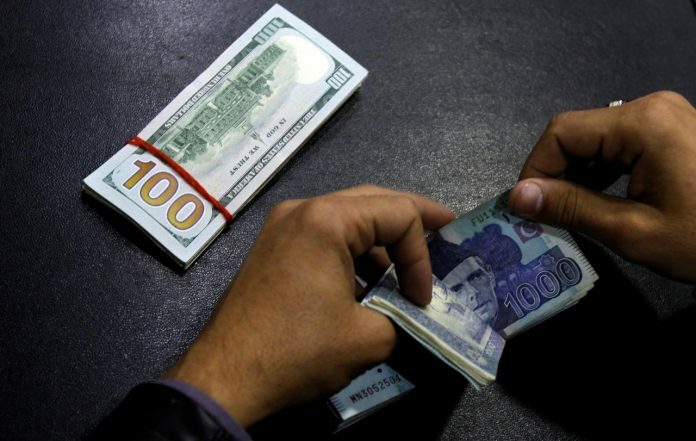 Several ideas are being tossed around to boost foreign exchange reserves. Wild threats may not bring back money from abroad and in fact may trigger a flight of capital. The right environment will, however, attract money that is kept abroad to hedge against a negative situation—after all this money is idle and right now the situation abroad is hardly conducive for parking money there. Pakistanis would want to bring the money back and would be willing to pay tax in dollars—what they need is reassurance on policies and not hounding by multiple agencies. Similarly, fixed assets, such as property, held abroad could be made kosher through an annual tax based on a fair market value paid in dollars. This could also be done for accounts held abroad. Imports could be reduced in the mid-to-long term through formulating policy incentives for local manufacturers based on import-substitution. Arab airlines operating at full capacity from Pakistan repatriate earnings in dollars though they charge in rupees—perhaps a currency swap arrangement could help Pakistan. The tax regime needs structural changes to simplify the payment procedure and widen the net—and not by hounding and torturing existing tax payers on trivial issues. There is a need for innovative, out of the box and large hearted thinking—not narrow minded focus on fear driven extractive policies. Financial markets are driven by sentiments and investor sentiment needs to be made positive through a policy shift. Finally, the impact of the internet, the social media and the electronic media needs to be understood. Off the cuff remarks by responsible people can play havoc. Lack of a strategic direction can lead to speculative opinions and debates. Changes in decisions can lead to perceptions of incompetence and inexperience in decision making and policy formulation. Economic well-being of the country emerges as the single most important factor that can enhance security, foreign relations and social harmony internally. Beating drums to announce yet to be proven corruption and repeatedly exaggerating our economic woes creates a negative and poor image of the country—we need to do more but quietly without fanfare and media hype. Pakistan faces challenges but has opportunities and the present government—military team is the best bet to realize the full potential through robust structural reforms. Spearhead Analyses are collaborative efforts and not attributable to an individual.